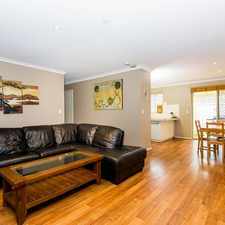 57 Kooyong Road is a 19 minute walk from the Armadale Line and the Thornlie Line at the Burswood Stn Platform 2 stop. 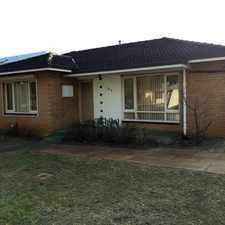 This apartment is in the Rivervale neighborhood in Perth. Nearby parks include J A Lee Reserve, Hardey Park and Cracknell Park. 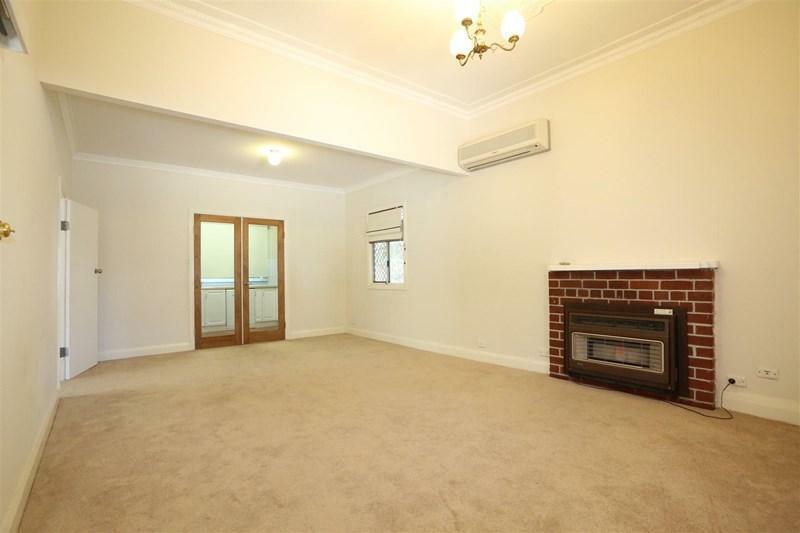 57 Kooyong Road has a Walk Score of 65 out of 100. This location is Somewhat Walkable so some errands can be accomplished on foot. 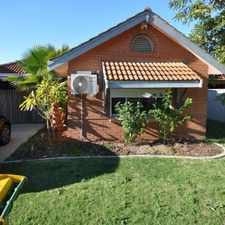 Pet friendly three bedroom, one bathroom plus a study home is bright, has an abundance of natural light and is located close to the Swan River, Great Eastern Highway, Airport & The Casino. Plenty of room for extra parking! The property boasts big open planned living with a large split system reverse cycle air-conditioner, high ceilings and as new carpet. 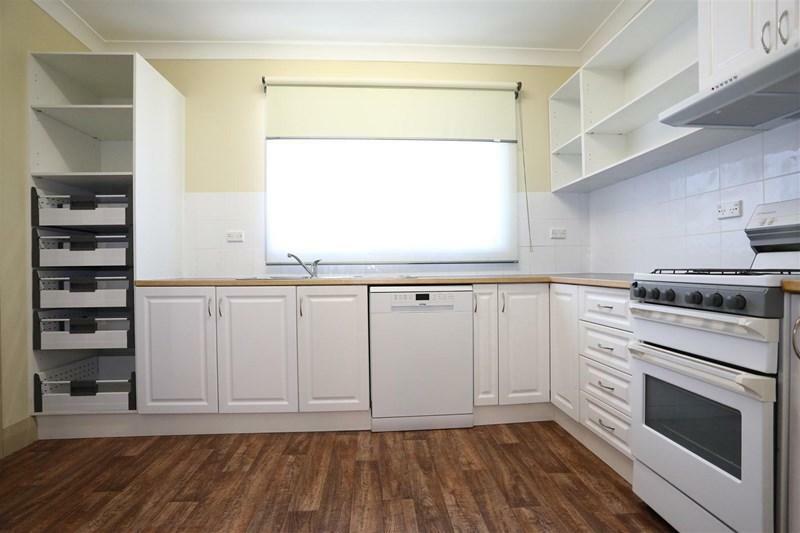 The kitchen overlooks the rear entertaining area and has plenty of bench and cupboard space for the budding chef. The stove top is gas, oven is electric and the dishwasher is in an 'as new' condition. All three bedrooms are good size with high ceilings, quality window coverings and bedroom 2 and 3 have air conditioning present. The rear patio and garden is more than large enough for entertaining and keeping the kids entertained for hours, or simply enough for the dog to run about. The property also has a double car carport, with a fully lockable storeroom/workshop. Explore how far you can travel by car, bus, bike and foot from 57 Kooyong Road. 57 Kooyong Road has good transit which means many nearby public transportation options. 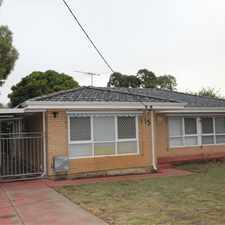 57 Kooyong Road is in the Rivervale neighborhood. Rivervale is the 39th most walkable neighborhood in Perth with a neighborhood Walk Score of 66.